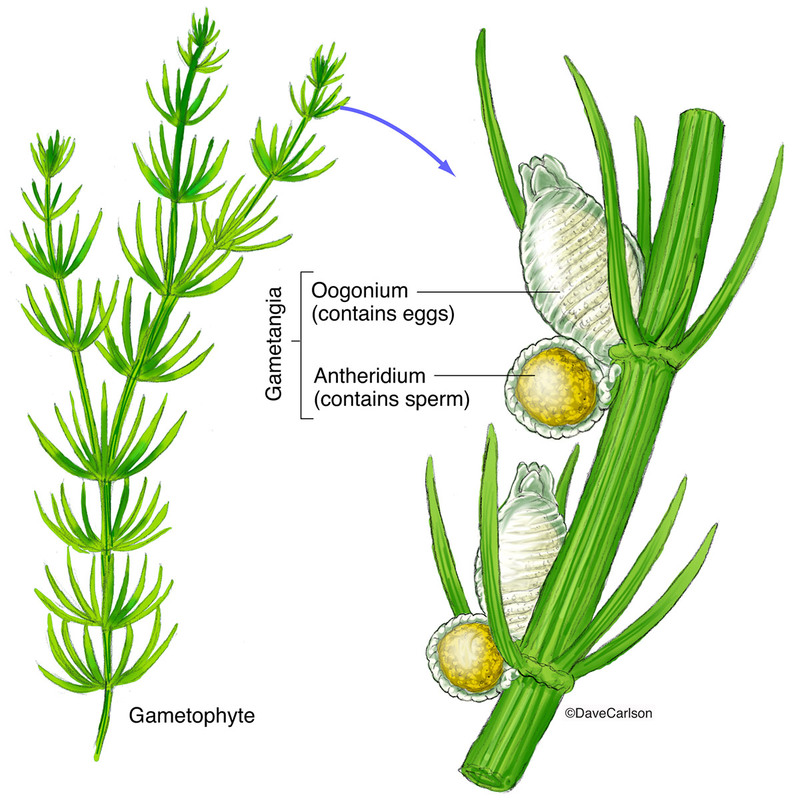 Illustration of a chara stonewort, a fresh water green algae. Chara is a genus of charophyte green algae in the family Characeae. Image © copyright by Dave Carlson.